Great blue herons normally swallow their prey whole, I believe this fish head came courtesy of a family of river otters I had seen moving through shortly before. Although effective hunters themselves, I’ve seen herons shadow otters before to try for scraps from the on-the-move otters (and seen otters make feints towards the herons if they think they’re getting too close and might grab more than just leftovers). 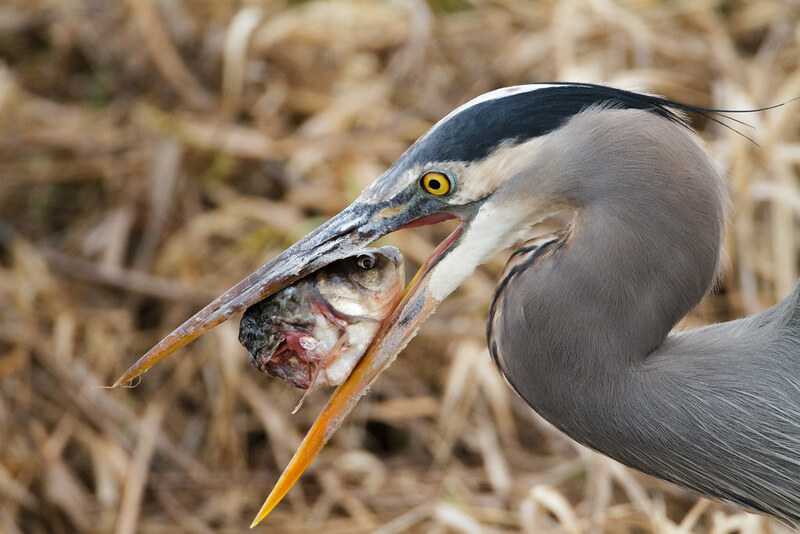 This entry was posted in Birds and tagged auto tour, eating, fish, great blue heron, Rest Lake, Ridgefield National Wildlife Refuge, River S Unit, Washington. Bookmark the permalink.